. Legends about Plants 植物と伝説　shokubutsu to densetsu .
. suikazura, nindoo 忍冬 honeysuckle　- Introduction . Lonicera japonica // kinginka 金銀花 "gold silver flower"
. nindoo karakusamon　忍冬唐草文 Nindo Karakusa Mon pattern . Also suikazura karakusamon; also nindo karakusa 忍冬唐草. suikazura 吸葛 "sucking the vine"
There are various varieties of this plant growing in Japan. The blossoms come out in May, June and the whole area begins to smell sweet. In autumn the black berries become visible. 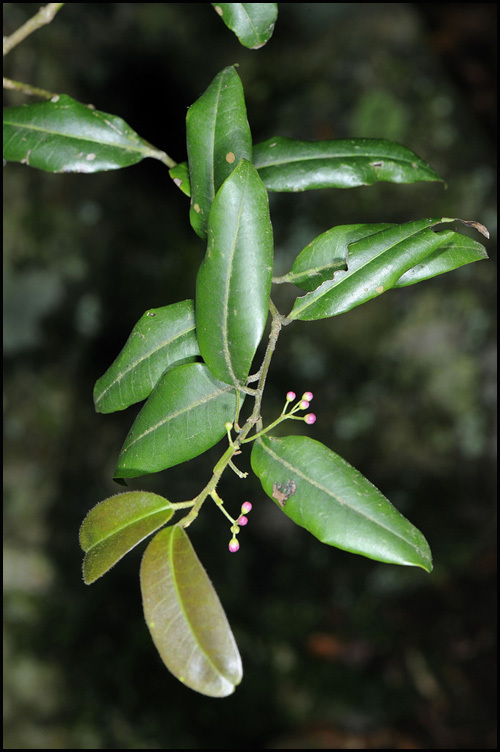 The flower, seed, and leaves are used for medicine. 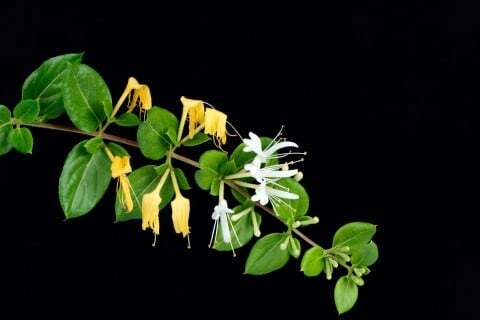 Be careful not to confuse honeysuckle with other plants that are also known as woodbine, such as American ivy, gelsemium, and Clematis virginiana. is used for digestive disorders including pain and swelling (inflammation) of the small intestine (enteritis) and dysentery; upper respiratory tract infections including colds, influenza, swine flu, and pneumonia; other viral and bacterial infections; swelling of the brain (encephalitis); fever; boils; and sores. Honeysuckle is also used for urinary disorders, headache, diabetes, rheumatoid arthritis, and cancer. Some people use it to promote sweating, as a laxative, to counteract poisoning, and for birth control. is sometimes applied to the skin for inflammation and itching, and to kill germs. Barbe de Chèvre, Broquebique, Caulis Lonicerae Japonica, Chèvrefeuille, Chèvrefeuille des Bois, Chèvrefeuille des Haies, Chèvrefeuille du Japon, Cranquillier, Fleur de Miel, Flos Lonicerae, Goat's Leaf, Herbe de Chèvre, Herbe à la Pentecôte, Herbe de Pentecôte, Herbe à la Vierge, Honey Suckle, Honeysuckle Flower, Japanese Honeysuckle, Jin Yin Hua, Jinyinhua, Lonicera, Lonicera aureoreticulata, Lonicera bournei, Lonicera caprifolia, Lonicera japonica, Lonicerae Japonicae, Madreselva, Nindo, Périclymène, Ren Dong, Saute-Buisson, Suikazura, Woodbine. There is a magic practise to bury many snakes in a hole in the ground where nobody else comes, and pray to them as deities. It is the same as with the Inugami 犬神 Dog Deity. If people get possessed by this deity, they will get ill. If the source of their possession is known there is a method to heal them, they say. In 徳島県三好郡祖谷山 the Iya valley of Tokushima there is a kind of Inugami called Suikazura. 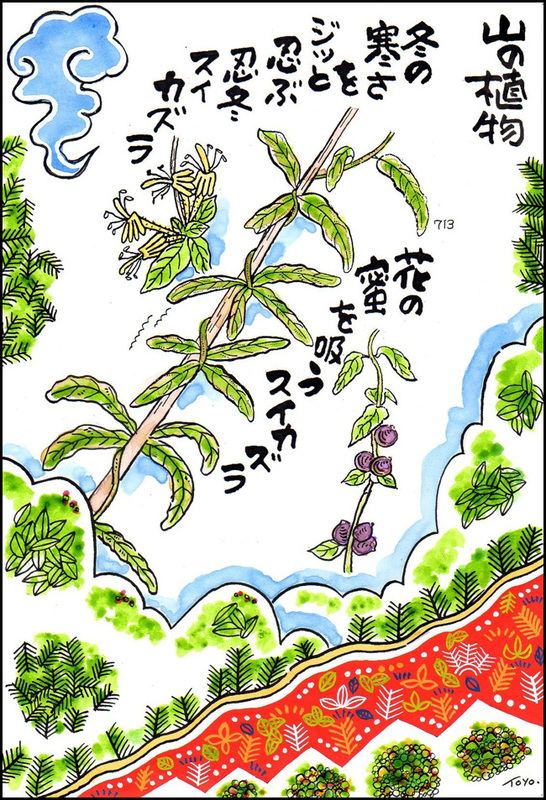 the tail became the plant suikazura スイカズラ / 吸葛 honeysuckle, (other versions say 蛇 a serpent).
. Legends about Yamanokami and Sarugami 猿神 .